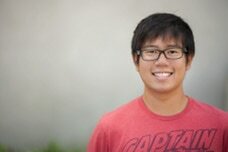 David Liu is currently a doctoral student in the School of Education at the University of California, Irvine, with a concentration in Learning, Teaching, Cognition, and Development (LTCD). His research interests are on STEM engagement, afterschool programs, and diversity. David’s research focuses on 1) how to support young girls of color, particularly Latinas, in their STEM engagement and 2) how to design afterschool STEM programs that leverage the rich cultural resources of Latinas for meaningful STEM engagement. To build on his work, David critically explores how to collaborate with educators to design and improve science learning environments that leverage children’s interests and experiences. The aim of his research is to challenge deficit perspectives of low income and diverse youth and their communities. David graduated with his bachelor’s degree in Anthropology and Public Health and a minor in Educational Studies from the University of California, Irvine. After graduation, he spent a year in AmeriCorps State program in a children’s museum conducting a research study on how children develop scientific thinking skills and understand their own learning processes. Along with being a research assistant, David taught in the museum’s after school K-5 STEM program.